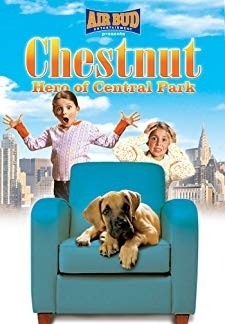 © 2018 Scratchu.com Chestnut | Makenzie Vega, Abigail Breslin, Christine Tucci, Louis Ferreira, Irene Olga López, Barry Bostwick, Ethan Phillips, Maurice Godin, Fred Ewanuick, Margot Berner, Tony Alcantar, Jessica Amlee, Laurie Bekker, Lindsay Bourne, Chad Cole - Chestnut (2004) | English Movie | 5.6/10 | Synopsis : Two young girls from an orphanage are adopted by a family in New York. The only problem is the apartment they move to doesnt allow dogs. The girls try to sneak a puppy they find into the ... ... Watch Online!! !